Today, I would like to take the time to discuss my view of Romans 11, and the problem with historic approaches that I shall briefly allude to. The most infamous of approaches to Romans 9-11 is the allegorical reading of Romans 9-11. The Allegorical approach to reading Scripture has its strengths but when it come to these passages, its limits are exposed. Augustine of Hippo was one of the first Christians to apply this technique to these 3 chapters, and in the process, theological determinism was given birth. The debate starts with Romans 9:13, the oft quoted verse by Augustinians and Calvinists, “I have loved Jacob, but I have hated Esau.” In the context of the chapter, God’s election, God choosing special people over others, starts inside a woman’s womb, Rebecca, Isaac’s wife, the daughter-in-law and relative of Abraham. Reading Romans 9:10-13 by privileging a Greek/Gentile literary reading strategy over and above unique revelation from YHWH (the Hebrew Bible)is problematic; it is a practical way in which supersessionism, the idea that Gentile-lead Christianity overtakes Judaism as the household of God, manifests itself. Augustine, and those who claim to be his heirs in Protestantism, the Reformed tradition with modern-day neo-Calvinists and the like do not in fact practice “Sola Scriptura” as they claim, or using Scripture to interpret Scripture first, but rather tradition and individualism to do so. The implications from this interpretation are this: Jacob is the elect chosen before the creation, and Esau, in this ALLEGORY, is the reprobate, chosen by God before creation. Just when does God choose them to their fates, before or after the fall? Well that’s up to debate between our theological determinist friends. I’ll let them sort that out. 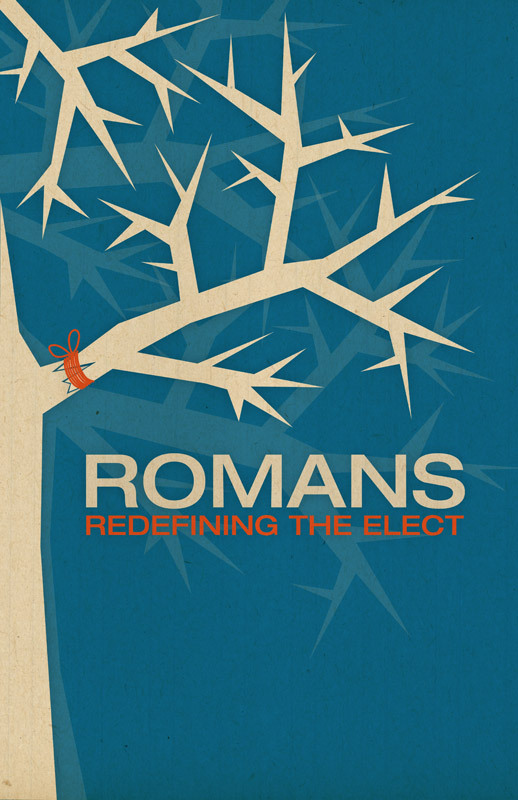 So, if we go by just the Reformation tradition, and its own standard of Sola Scriptura, there is conflict in the popular, predestination, individual election reading of Romans 9-11. The subsequent debate of Arminians proposing “corporate election” as opposed to “individual election” misses the point of my criticism. This isn’t about the nature of election; in the Hebrew Bible, there is both. This is about interpretation of Scripture, and the relationship of our Messianic Pharisee friend Paul’s writings with that of the canon. Using the Hebrew Bible/First Testament to understand the New/Second (biblical scholars call this practice intertextuality) is an important part in understanding God’s mission of to the world through God’s Son Jesus the Anointed One, and the Holy Spirit. Supersessionism and its fellow heretical teaching, that of Marcionism (the belief that there is 2 God in the Christian canon, an evil violent God in the “Old” and a “peaceful”, loving God in the “New.” What perpetuates supersessionism is well meaning pastors and professors continually essentializing Judaism as a warmongering religion of revenge. Have you ever heard or read someone say that “the Jews were waiting for a violent messiah to overtake their enemies”? The idea that God evolved (that being God’s character) from violent to non-violent being taught by white Emergent Church leaders is just another form of this supersessionism, with a nice, smiling face. Amy Jill-Levine points out, for example, that the oft-cited Psalm of Solomon chapter 17, where Israel’s Messiah is supposed to have a “blitzkrieg” versus the Gentiles, verses often times get ignored. The nations are destroyed by “the words from his mouth.” Does this sound familiar? This is exactly the same concept that the author of Revelation says about Jesus, that a sword will come from Christ’s mouth in chapter 19, verse 15. “I have loved you,” says [YHWH]. Throughout the Torah, the first five books of the Bible, if you pay attention to the details, Edom has a special place in God’s plan. Edom is a stand-in for the rest of us Gentiles and our stories. In Deuteronomy 23, YHWH orders the Israelites: “Do not despise an Edomite, for the Edomites are related to you. Do not despise an Egyptian, because you resided as foreigners in their country.” In the time of Solomon’s reign, as punishment, YHWH raised up opposition, from guess where? Edom! So just as the Gentiles have historically been resistant to YHWH, so has Edom rebelled against the reign of Israel. Fast forward to Romans 11, Israel’s story is one where the descendents of Abraham lived in a cycle of faithfulness and unfaithfulness, and then exile and return. God is given credit with liberating the Israelites and Judeans time and time again with judges and kings, and even after God sends God’s people into exile, God makes a way for them to return, and even choose the empire that allows them to do so according to Ezra and Chronicles. Just as the imagery in Romans 9 about stressing God’s sovereign freedom and love, so is the image of God as a gardner, engrafting the Gentiles in to the roots and branches of Israel. Much like the author of Hebrews, Paul is arguing that the Gentiles have been included fully in the new plan. This is what makes the New Covenant better than the “old”: more people for God to call beloved. The election and call to service to YHWH as well as the gift of the Promise (which includes the Law) is irrevocable (Romans 11:28). The problem with supersessionism is that it is first and foremost, a rejection of God’s plan that includes the strategy of engraftment. Understanding our Gentile place is crucial part of understanding the mission of YHWH, the Word that YHWH sent went to Israel and Judah first, and then the Gentiles. The Resurrection faith in Yeshua the Messiah does not permit us to ask, “who will go to heaven?” or “who will go down to the abyss?” (Romans 10:5-7). These questions are not what the covenantal relationship between God and humanity is about. The specific details of the afterlife are for God to know, and God is God’s own mystery and power decides alone (Romans 11:25-36). When it comes to living in fellowship with Jews, Jewish and Gentile Christians exist as a testimony that Israel’s covenant has been opened up, that God has reconciled Jew and Gentile. This entry was posted in Political Jesus and tagged anti-Judaism, anti-Semitism, Epistle to the Romans, Jewish Temple, jewish theology, Moses, Paul, prophets, resurrection, Second Temple Judaism on June 11, 2013 by Rod T.
In a recent lecture Richard Hays argued that the creeds guide imagination while the Gospels inspire our imagination. While I agree to a limited extent, the creeds are pieces of paper. They are a testimony to the Gospel but it is the people behind the creeds, the church leaders, the women and men, who affirm the creeds and defend them that are the “guides” for the imagination. It is the community of faith that serve as forces of discipline which determine of how people receive, read and interpret the historic creeds. Like a parent telling her/his child the truth about Santa Claus, “THE CHURCH” teaches the young convert (not young as in age but spiritual maturity) that the life of faith is also a tradition to be handed down to each generation. I think stating the obvious upfront and being truthful about this fact is the best way to approach creed-affirming Christianity. For more on Hays’ lecture, see Peter Leithart’s notes at First Things. I hope there’s an audio file for this that’ll be made available. Hays is still responding to his debate with NT Wright. Speaking of Wright, Rachel Held Evans is hosting: Ask NT Wright. Check it out! This entry was posted in Political Jesus and tagged "THE CHURCH", Christianity, Creeds, early Church, Nicene Creed, Nicene orthodoxy, Patristics, resurrection on June 7, 2013 by Rod T.
Uh no, not a word? Oh, okay. Let me ask you a question, “Did God pull the trigger?” So, how, in any way can a Good God be culpable for the evil, free will choice of George Zimmerman. By avoiding Hannity’s question (and getting away with that I may add), Zimmerman has divinely sanctioned racial bias when it comes to vigilante justice. To Zimmerman’s credit, he has worked to calm the flames from his supporters like Florida pastor Terry Jones, who’s determined to start a race war but by taking God’s name in vain, George Zimmerman has violated one of the Ten Commandments. Also, one has to question Zimmerman’s telling of the story. Why was it important for George Zimmerman to get out of the car to chase what looked to be like a dangerous, tall black male criminal in the first place. If there’s a dangerous criminal near you, call the police, give them your address/location, and let them handle it. That is what they are authorized to do. Zimmerman it seems was looking for a confrontation. Biblically speaking, as part of God’s plan, we are to sub-order our lives to government official. The police were the proper authorities to deal with this situation. No one man is above the law and no man is an authority unto himself. That is how we should understand Romans 12-13 (See John Howard Yoder’s The Politics of Jesus, or my views on sub-ordination and government authority from my The Gift of Meekness Series Part 1 ) not endorsing fascism, but respecting authorities that know their proper role. In his proper role as a citizen of Florida, Zimmerman should have submitted the information he had to the Sanford police department, and waited for them, if he really believed he was dealing with a criminal. Secondly, if we are to rightfully understand God’s plan, we need to look to Jesus in the Gospels and the New Testament. Jesus is God’s Will and Word as Christians confess. God’s Will was not for Jesus to stay dead, but to be resurrected in his body so that we may have hope and life. Death, therefore, has suffered a fatal blow in the Victorious rising of the Savior (1st Corinthians 15). In the Gospel of John, Jesus said he came that we might have life, and have it more abundantly. The white supremacist god that George Zimmerman, Doug Wilson, and Terry Jones worship is Hades, the Greek pagan god who was annihilated by the God of Moses. God is good, and as a fundamental belief of Christian theism, God’s goodness ought to be defended. Evil happens not out of any doing or being of the Triune God, but because the free will choices that human beings make. We do not live in the best of all possible worlds. We live in a world filled with all possibilities because the good Triune God has given humanity free will and it is up to us as one human race, the descendents of Adam/the inheritors of Christ, to live in opposition to sin, and to do good. This entry was posted in Political Jesus and tagged divine omnibenevolence, God's goodness, Gospel of John, nonviolence, pacifism, peace, political theology, Prison-Industrial Complex, pro-life, race relations, racism, resurrection, Trinity on July 19, 2012 by Rod T.